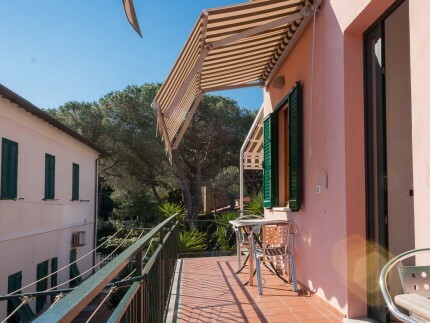 Casa Bartolomea 14 is a two-room apartment for holidays in Marina di Campo, located in a very strategic position. It is just 30 metres from the town centre and from the large sandy beach. 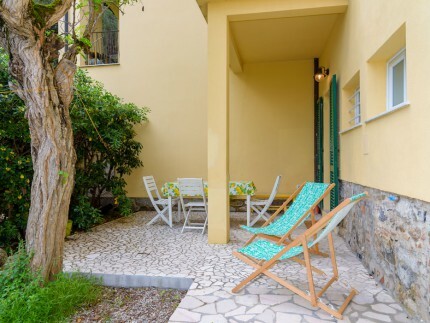 The two-room apartment Bartolomea 14 is located on the ground floor of a residence adjacent to the beach and it has an outdoor area equipped with table and chairs. Inside it has a large lounge with cooking area and a sofa bed, a double bedroom and a bathroom with shower box. The bedroom and lounge are fitted with air conditioning. A washing machine is available for use by several apartments. 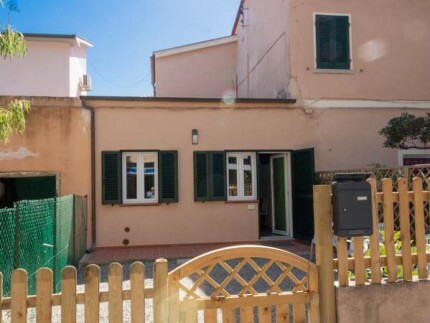 Marina di Campo is an ideal town for families thanks to its town centre that overlooks directly the longest beach of the Island. Beach resorts and free beaches can be found close to the apartment to satisfy the requirements of every single person. In the evening the town is full of life thanks to the numerous bars and restaurants in the pedestrian area. By staying here you can choose to forget about your car and move around on foot for your entire holiday!